*Trade Winds on the Bay* is located in the heart of Midcoast Maine in beautiful Rockland, on the shores of Penobscot Bay. For those who seek an authentic Maine experience, this is it. Situated on one of the most scenic bodies of water on the eastern seaboard, you will enjoy scores of islands, historic lighthouses and quiet protected harbors filled with working lobster boats. Nearby are the Maine Lighthouse Museum, The Carnegie Library, Farnsworth Art Museum and the historic downtown Rockland Main Street with plentiful dining, shopping and entertainment options. 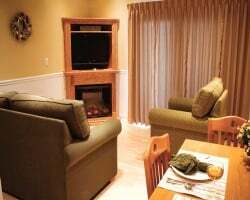 For more information, visit www.midcoastmainetimeshares.com. Spend unforgettable vacations in beautiful Rockport. Even year floating week! Buyer may receive title fee credit, inquire now! Price Negotiable! 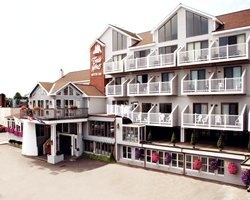 Lovely resort located near historic lighthouses, museums and many more! Floating odd year week! Inquire for details! Just Reduced! Motivated Seller Will Consider All Reasonable Offers. Sale includes 1 banked week! Unit has an ocean side view! Buyer May Receive A Title Fee Credit, Inquire For Details! Come to New England every even year! Beautiful year round resort! Buyer May Receive A Title Fee Credit, Inquire For Details! Enjoy New England during red season week 39! Buyer May Receive A Title Fee Credit, Inquire For Details! Get to choose any week you desire at this year round resort in new England! 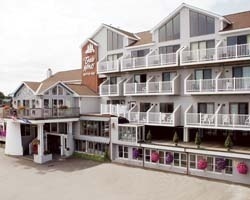 Lovely resort in Rockland Maine, located along the Penobscot Bay! Make an offer today! Motivated to sell! Buyer may receive a title fee credit! Enjoy week 43 in New England each year with easy access to attractions! Buyer May Receive A Title Fee Credit, Inquire For Details! Explore the great outdoors all year round! Buyer May Receive A Title Fee Credit, Inquire For Details! Come to New England during prime season week 14! Buyer May Receive A Title Fee Credit, Inquire For Details! 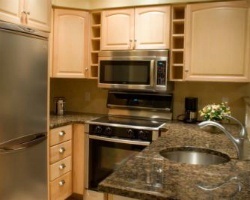 2 Levels, best unit available right on Main St. Experience Maine on Penobscot Bay! Yearly usage in desirable Blues Festival Week 28! Enjoy this resort overlooking Rockland Harbor! Located near historic lighthouses, museums, and many more! Buyer may receive a title fee credit! 61,000 annual points! Perfect location for enjoying scenic Maine and exploring New England! Inquire for details! Beautiful year round resort! Odd year week 42 usage! Inquire for details! Perfect location for enjoying scenic Maine and exploring New England! Maintenance fees paid only when used! Inquire for more details! Spend week 40 in beautiful Maine every odd year! So many things to see and do! Buyer may receive a title fee credit, inquire for details!! Spend Christmas week in coastal Maine every even year! Enjoy perfect New England holidays! Buyer may receive a title fee credit, inquire for details! !